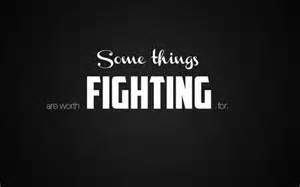 My husband often sings a gospel song that states a list of things worth fighting for, I am tired and don’t really want to fight for something this is rightfully mine. But I will and I am. I believe that honesty is the best policy and try forthright approaches to everything I touch. I have found this last week to be more than challenging because being an entrepreneur is rewarding until you attempt to fight big business. I have taken my gloves off using underhanded roundabouts is the method I will use until big business cooperates with my company. Wikipedia.org (https://en.wikipedia.org/wiki/Amazon.com) tells us how Jeff Bezos started Amazon and one would think those who work with and for him would be sympathetic if not empathetic to small business. However these “employee” disgrace him and his legend more often than not. They see working there as a ‘job’ where Jeff saw it as a mission. Alas “they” will more than likely work for someone the rest of their lives. Thinking out side of the box is what “Project and Program Managers” do because you learn to manage time, people and money. I did this for more years than I care to admit. Those are the only tangible items on a project or in a program. When you master one, you are starting over in the other, if you don’t believe me read the “white paper” from any past, current or projected project. Amazon, you won this week…but I have only begun to fight. So the battle is over, on with the war. Stay tuned. You lose, even though you don’t realize it, yet. My last comment for today is simply, read this book you won’t regret it. She pulls you end and gives you an earful of what men really think and say behind your back. They are watching you when you don’t think they are. The pet name was cute, but how can a love go so wrong. What I found interesting is the “private” conversations we listened to regarding this company man. Actually, it was more how three best friends compete over her ‘submitting to them” in their fantasies discussed between golf buddies often run rampant. This descriptive tell it all enlightening read makes you mad, makes you smile, makes you laugh and most of all it makes you grateful there are good guys in the world. Doesn’t matter their sexual preferences, it does matter they are protective when needed. No matter what you think about the community ~ when the rules are applied all know that “NO means NO”. The word no, stop, quit, is respected. This is my second book about this community and I find they believe in the rules set by their peers. 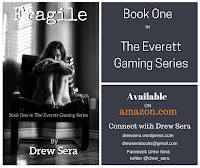 Drew has done her research and is edifying us one book at a time. All I can really say without getting ‘punished is Kitten is worth following to the next book. She may be the Sub, but she has control of some mighty powerful Dom’s. Unfortunately she didn’t meet them first. *Finger snap neck roll* You go gurl. You can't choose your family? Happy Father's Day You can choose your clients! Drew Sera is one the first clients who signed up for our Grand Opening Facebook event April 27, 2016. This lady is very inquisitive which I find refreshing. Why? I enjoy sharing the plans I have for this company. I love talking about how excellent work is under rated because it is unread, most of all I enjoy explaining how timing and algorithms make money with little or no effort. I am not saying writing is not work, nor am I stating that you can kiss a penny and throw it in a fountain and walk away. What I am explaining is YOU are not alone. Not one author is alone but many independent authors feel this way because after second-guessing every word you push the publish button and nothing happens. With the big publishing houses, there is champagne, parties, boxes of books shipped to your doorstep. Bookstores are confirming your appearances and your blood sweat and tears feels a rewarded. Not to mention the fat check in your bank account allowing your time to concentrate on each word specifically placed on the page. Especially the fact that you are not responsible for marketing on any level, you just walk around handing out 'free' books and feeling accomplished. Independent authors rarely feel this euphoria for months, years or even decades because after they pressed 'publish' you went to your 9-5 job. When you came home, you washed clothes, washed dishes, cleaned the bathroom and told your children a bedtime story. In between, you checked 200 - 300 times how many books were sold or partially read, how many books were returned, who visited your fan page and how many reviews were left. You checked your email and balanced your checkbook wondering how many days you could take off to finish book seven (or eight). 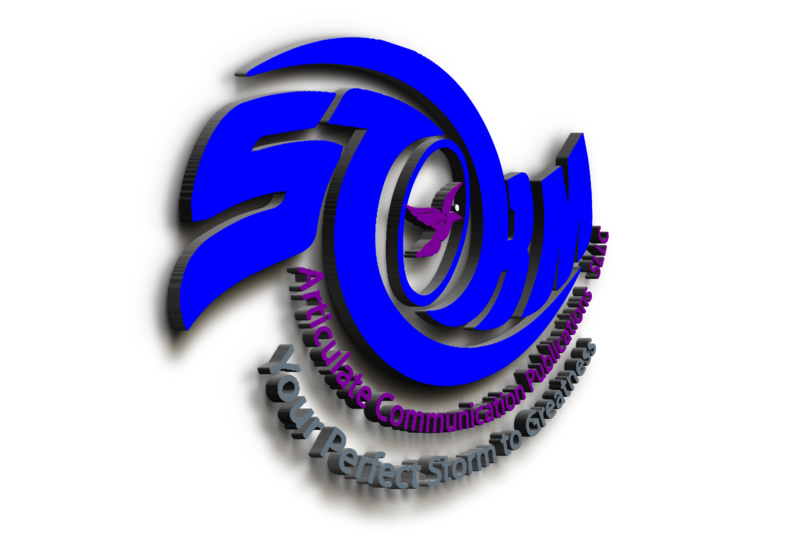 Let Articulate Communication Publications, SLLC help you with some of the drama. Our company can assist you with a spotlight interview. We can give you 50 reviews in 50 days; these are magic numbers and very few people know why. Believe me timing is everything. We understand the timing; we understand that your work is your everything, your entire world. Let us prove to you, your work is important to us. Our prices will go up on August 1, 2016. On that same day we will host our first Spotlight for Authors. The spotlights range from free to $200 plus dollars, but we offer you something to work with in boosting your presence to readers who want to pay for and read your books. 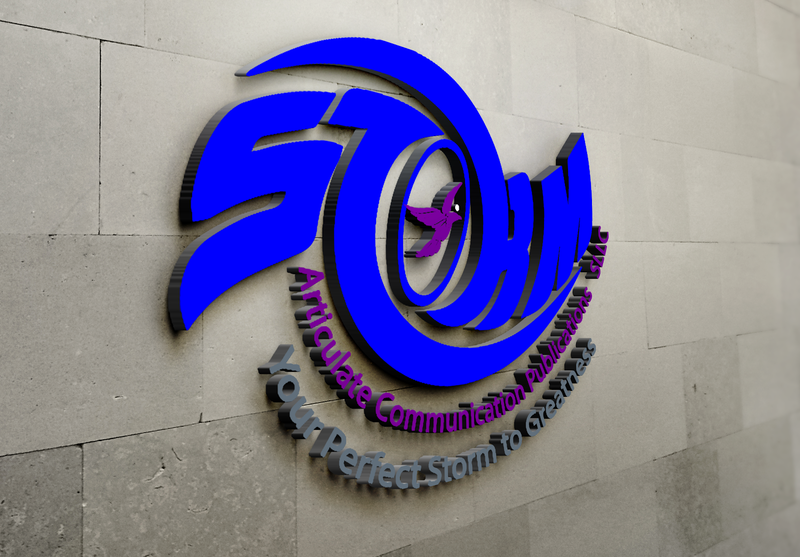 I am the Owner, Operator, Last word and often Risk Taker in Articulate Communication Publications, SLLC. I own this company with two (2) other people. In addition, I manage four Facebook pages, five Facebook groups and eight Twitter accounts. Finally, I edit (really just proofread) Independent Author’s work when needed (asked) sometimes I am paid. Yes indeed this is a full time job. Finally, our company is innovative by offering our readers unprecedented benefits. Taking it one-step further, we have applied for a copyright regarding our “special” introduction to achieving reviews. This week we have received a threat and two people have spent the time filling out an application pretending to want to join our team. It wasted some of my valuable time and made me spend some money on the Paralegal I have on retainer. However, the best part of using a website to glean readers is they automatically grab your IP address. I may not make any money with this company. I may sell it to the highest bidder before the end of the year. What makes me smile is the fact that anyone who uses this pioneering idea “will be sued” without hesitation or pause. By this time next week I will know exactly who the culprits were who wasted my time. Then waiting for the other shoe to drop, waiting to see the ‘competition’ pop-up will be exciting. The above could prove moot in the end. Today this blog was simply to introduce the new phase in our company starts on August 1, 2016. Author interviews. We are not stopping at Author’s; we are including Bloggers, and any Entrepreneur that finds themselves connected to publishing or writing. ACPSLLC will spotlight one person/business per day. There is only one criteria, first come first serve. August 12, is full. Fill out the form, we all have forms; the calendar will help you receive your desired date. 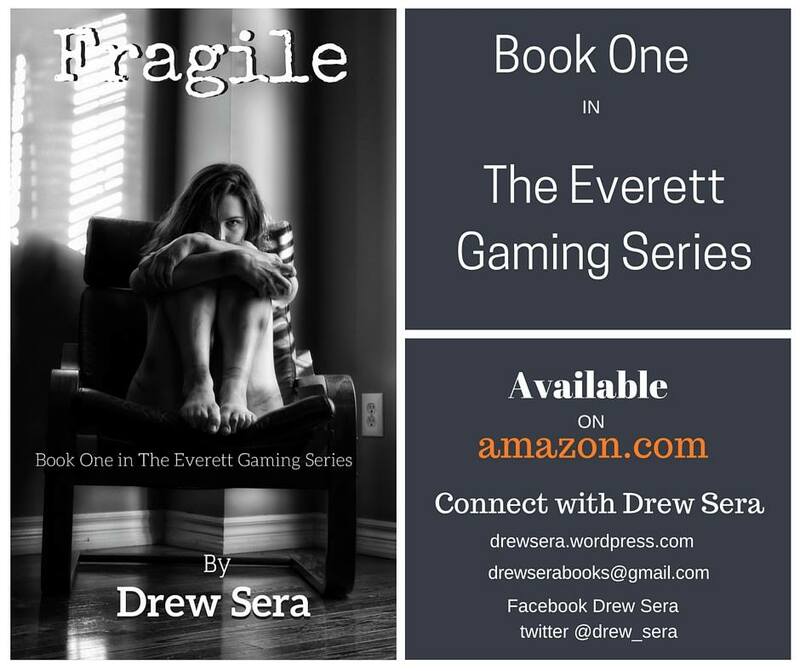 In the meantime and in between time, pick up your copy of Fragile (http://bit.ly/1T3ZUzn). It is an 'awesomer' read. The story line is based in Las Vegas with just enough twists and turns to make it believable. I have five chapters to the end of this remarkable book. I will finish it before I sleep tonight. My new company has started to read this amazing book. I will not comment on the book itself (YET). The reason I am posting about it in the first place is to prove that diligence and self-promoting works when you work it. On April 27, 2016 Articulate Communication Publications, SLLC hosted an event on Facebook placing our wares on display. We continued by placing authors’ wares on display; free. Many businesses and PA (Personal Assistant) companies charge to promote you in a community where you are foreign expanding your fan base. The interesting component is while you are expanding your fan base, so are they. How you ask? Well you invite your fans the few you believe you have and now these companies poach them. Please do not get me wrong many of these companies do you an awesome justice in increasing your reach giving your books a boost. This is a momentary upswing in the algorithm that is Amazon and yes, you as an author have more pennies in your pocket for that month. Articulate Communication Publications, SLLC on the other hand hold your “Fragile” reputation in an insulated package of 50 Reviews in 50 Days. It is not a one time “pump you up”. It is a steady flow of purchases reviews and more purchases with blogging about who and what you are as an author. Your characters take on a life of their own giving you a fan base multiplied by 50. Do the math while you write your next book. If you are an author, check us out. Now for the readers who just want a free book whenever you finish one. You can actually read yourself to a vacation. We give you free books. Some have never been read by anyone i.e. not yet published. Some on the other hand are published and need attention. You will decide if they are worth reading. How powerful an undertaking at the tip of your fingers. You can help feed an author while you get great gifts for yourself. Remember how much you spent on books last month; then click this link. Talk to you guys soon. 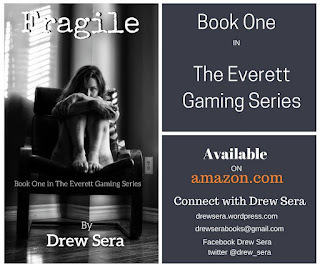 In the meantime and in between time, pick up your copy of “Fragile”.